When people think of plastic surgery, the mind congers up images of everything from severe scar repair to vanity surgeries, but who originally came up with these procedures. Although the development of plastic surgery is popularly believed to have taken place in modern times, the origins of plastic surgery are very old. In the early part of the 1400s, the nose received the most attention from the early plastic surgeons. 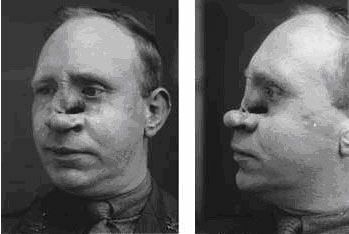 One of the first procedures for reconstructing the nose, a primitive precursor to the nose job, is attributed to a surgeon called Antonio Branca. After that era, Plastic surgery had to wait until the late 18th century for the next significant advance in its history…the skin graft. And ironically the breakthrough came from rediscovering a procedure developed in ancient India. The severe-looking skin graft procedure was rediscovered in an ancient book called the “Sushruta Samhita,” dating back to 8th century BC. There hidden in the book’s 184 chapters was a technique using a leaf-shaped flap from the forehead to reconstruct the nose. The technique was published in the ‘Gentleman’s Magazine of Calcutta’ in October 1794 and it soon became widely used. It was known as the “Indian Method”. While these methods undoubtedly had a great impact on the history of plastic surgery, it would be another event that would have one of the biggest impacts on plastic surgery, and its methodology. That event was World War I. Shrapnel was the cause of many facial injuries during world War I, and unlike the straight-line wounds inflicted by bullets, the twisted metal shards produced from a shrapnel blast could easily rip a face off. Harold Gillies, a surgeon, was horrified by the injuries he saw, and he immediately took on the task of helping these victims. He saw these men as more than victims. They were heroes, and that’s how he saw them. He knew he had to do something to help these men get back to a normal life. So, he pioneered early techniques of facial reconstruction in the process. 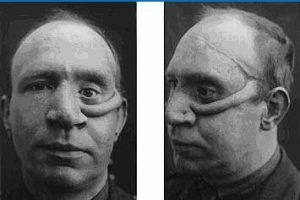 While these were great advances, it’s likely that the most significant improvements in the history of plastic surgery occurred in the last century. 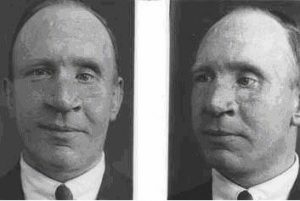 Several plastic surgery techniques were introduced during the world wars. Skin grafting techniques such as the “tubed pedicled graft,” were state of the art during World War I. Archibald McIndoe and Harold Gillies refined the techniques to treat severe facial burns. These staged procedures differed from earlier plastic surgery because they relied on the growth and development of a blood supply from the recipient bed into the grafted tissue over many weeks or months. While that all seems pretty normal these days, it was unheard of until then.